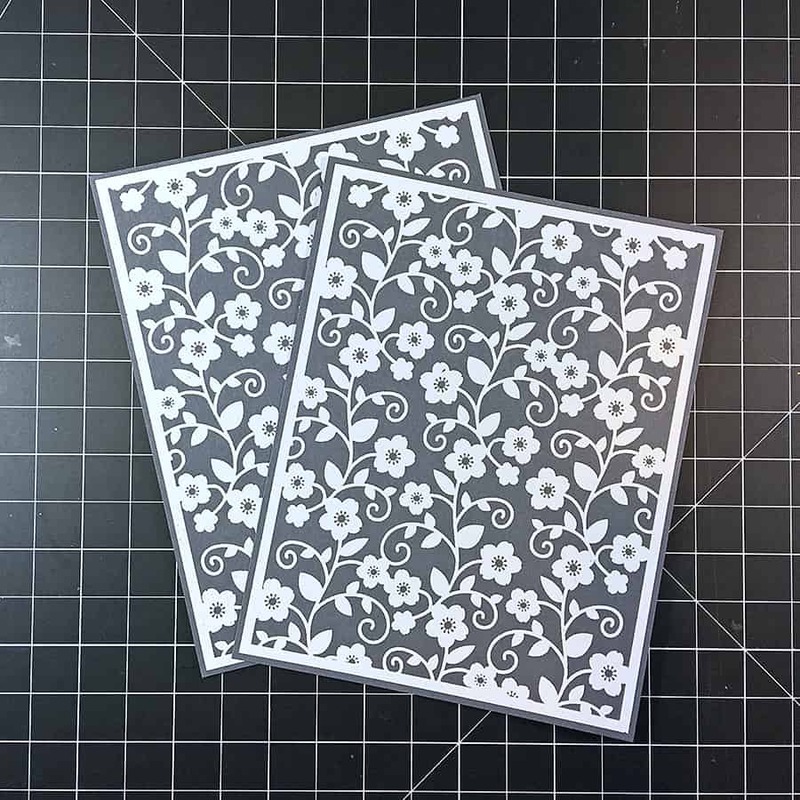 I made a super cute white foiled flower background for a card I’ll be posting tomorrow that I just had to show you! 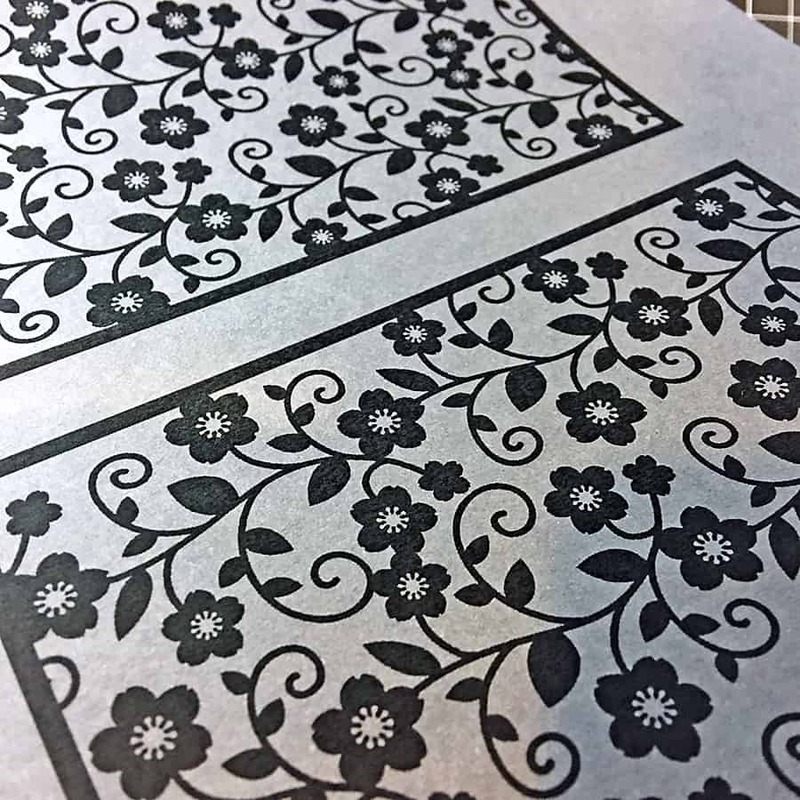 With the help of Heidi Swapp’s new Opaque White Reactive Foil, a Minc, and a little Silhouette Design Studio magic I printed and foiled this lovely floral design on gray cardstock. 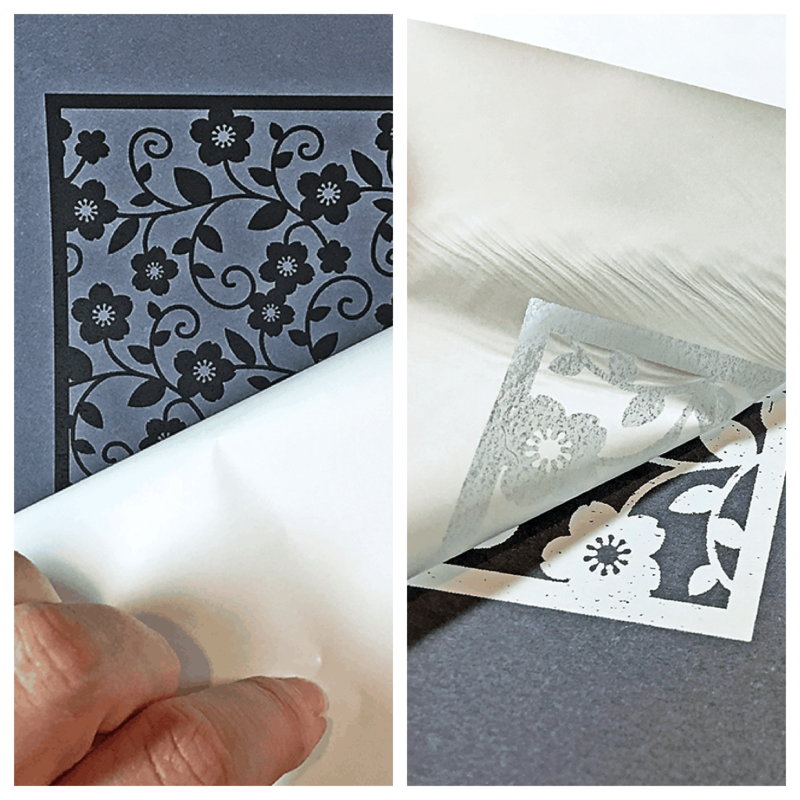 It sure beats the potential warping during traditional heat embossing. Also, it’s much faster and covers more evenly.. most of the time. I’ll explain in a bit. Of course, you can use any color combo of paper and foil you want. The reason I chose gray and white is I found a truly lovely wrapping paper online that inspired me to give this technique a shot. You will also need a laser printer, or you can save your file as a PDF to take to FedEx/Kinkos where they can print it for you. First, open up your file in the design area. For my background, I chose Design #26240 (Floral Lace). What you pick doesn’t need to be a Print & Cut design – you can fill almost any closed shape with color to be able to print it. 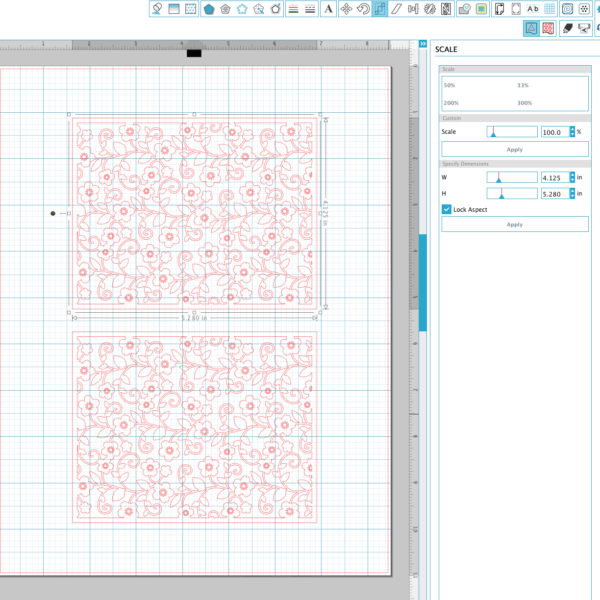 I resized the design to a width (Scale menu highlighted in blue) of 4.125 inches so it would fit nicely on an A2 card base with a little room for a border. • Print to your laser printer. The foil reacts with toner ink, so a regular inkjet printer will not work. In the Studio software, select the Print option in the File menu, choose your printer, load your paper (with appropriate settings for the thickness of paper you are using) and print. • Save as a PDF and bring it to an office store for printing. 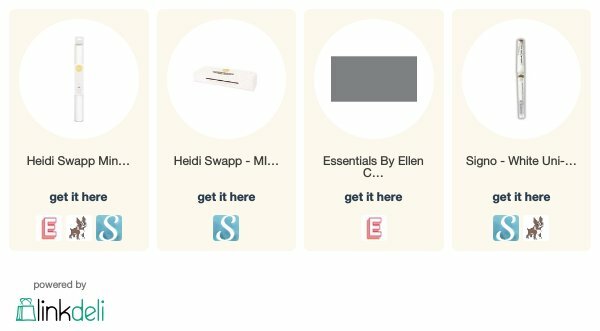 On a Mac, just select the Print option in the Studio software. Then, in the print window in the bottom left corner, select “Save to PDF.” On a PC, you’ll need to download a third-party app (like Bullzip). Follow the directions in the software you choose to save your file in PDF form. Sadly, I forgot to set the printer on “best output” when I printed my sheet out and didn’t realize until after I ran it through my Minc. It worked out, though – I still got my white foiled flowers to work. 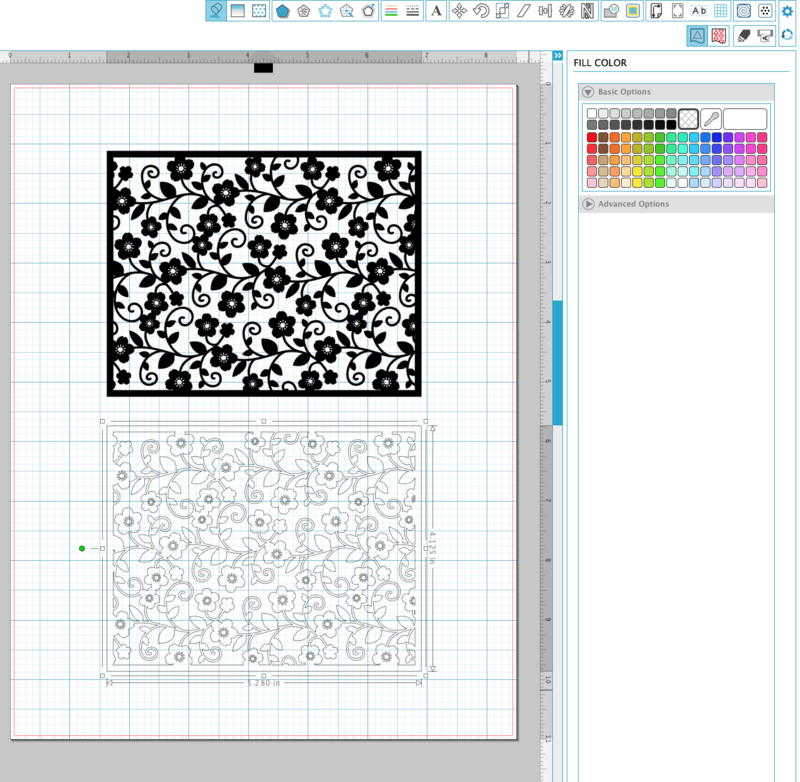 Here’s a before and after of the background once I tucked it into the carrier sheet and fed it through the Minc. To make sure you get even foiling on your projects, make sure that you have your printer set to the highest quality before printing. Also, check for cat hairs on the carrier sheet. Ha! Anyhow, aside from those two areas I got a great result with the opaque white foil. And it’s a little shiny, too! Here are the panels that I’ll be working with for my card tomorrow. 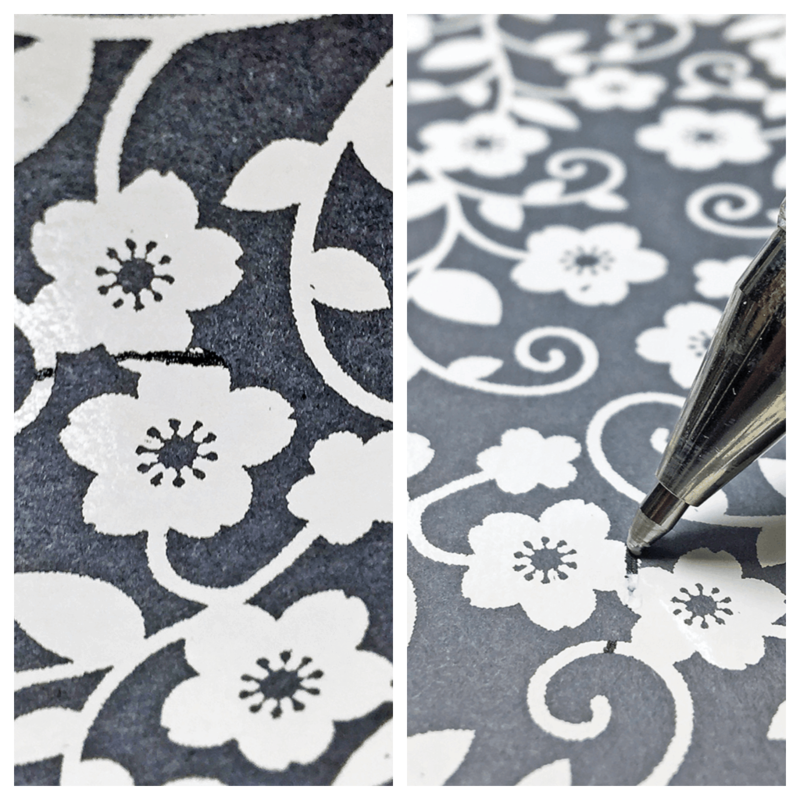 I hope you’ll pop by to see my white foiled flower background in action. Do you foil? Leave a comment below and tell me what kind of projects you make!